The church with dates back to 1769, is open to the public as a historic site. It is maintained by the Indian Castle Church Restoration and Preservation Society, a non-profit, Regents-chartered, educational organization. Indian Castle Church, Little Falls NY | Photo courtesy of Shel Rogers at shelrogers.com. The only contemporary description of the building indicates that it was "a Wooden Church… 50 feet long, by 32 wide." "Dedication services were held on June 17, 1770, and Rev. Harry Munro of St. Peter's Church in Albany preached the sermon. Although Sir William Johnson was never successful in finding a permanent missionary for the upper castle, the missionary at the lower castle, John Stuart, held frequent services in the new church. Many Mohawk warriors left the upper castle and moved to Canada in the beginning of the American Revolution, largely due to the influence of the loyalist Indian Joseph Brant." After the Revolution, the church served a number of Protestant congregations. "Reformed Dutch seem to have been the first whites to claim the structure. A congregation was formed in 1800 under the Reverend Christopher Pick. In 1820 a "Union Congregation" was formed, but little is known of their activities. Presbyterians used the building from 1833 until at least 1835; Lutherans were active there in 1838. 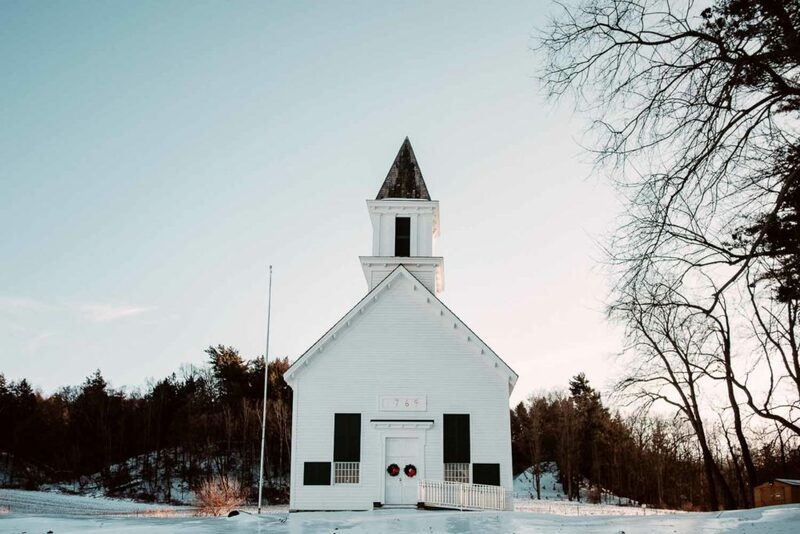 On February 1, 1855 a meeting of the inhabitants living near the church was called "for taking into consideration the propriety of repairing; or rebuilding a new house [of worship] upon the site of the old." Another Union Church Society was formed, and Methodists, Presbyterians, Calvinists, Lutherans and Universalists, cooperated in the organization. The church was almost ninety years old by this time and badly in need of repair." Visit the website at indiancastle.church.